High quality foam tray for 12 common larger / higher miniatures of different game systems. 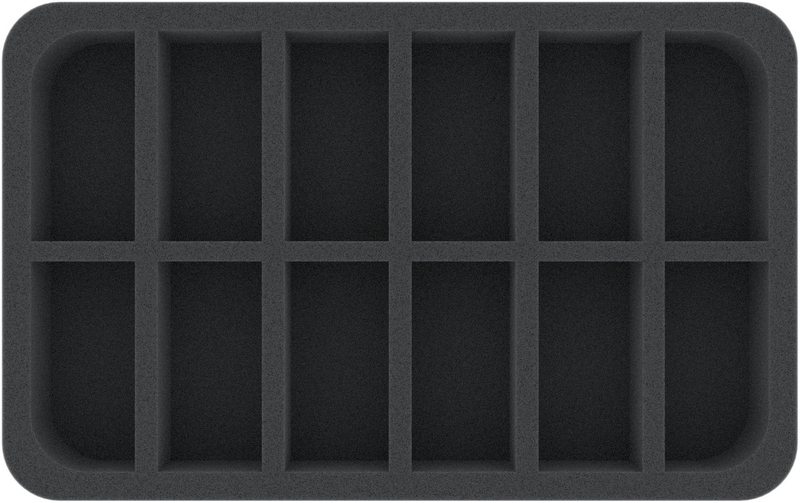 High quality foam tray for 12 common larger / higher miniatures of different game systems. 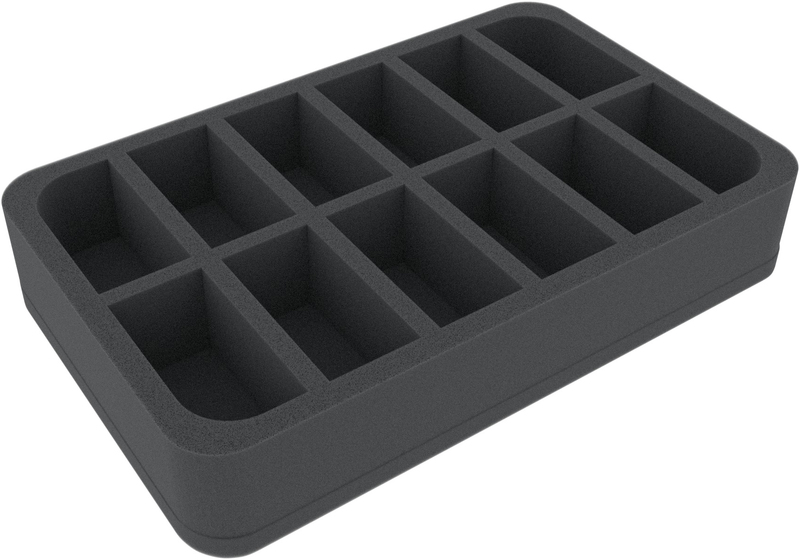 This foam tray has 12 slots - each slot 50 mm deep. Ready to use - glued 10 mm foam base. Dimensions: 275 mm x 172 mm x 50 mm.